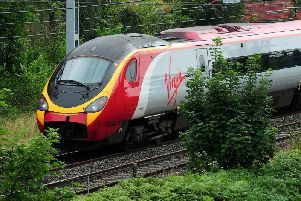 Rail operator Northern is being investigated over the lack of information for passengers affected by train cancellations earlier this year. A huge number of services were affected following the introduction of a new timetable in May, with northern facing strong criticism for its handling of the situation. Many passengers complained about a lack of information about late-running and cancelled trains, while rail chiefs were forced to introduce a temporary reduced timetable to get the situation back under control. The Office of Rail and Road (ORR) has today opened an investigation into whether Northern - and another operator, Govia Thameslink Railway (GTR) - breached requirements to do "everything reasonably practicable" to keep passengers informed in the run up to, and following, the introduction of the May 2018 timetable. The action comes after the ORR’s timetable inquiry last month identified concerns with information provided to passengers who use Northern and GTR’s Thameslink and Great Northern services. The ORR is investigating whether the firms breached a requirement to provide “appropriate, accurate and timely information to enable railway passengers and prospective passengers to plan and make their journeys with a reasonable degree of assurance, including when there is disruption”. If a breach is found, they could be hit with financial penalties. ORR has written to GTR and Northern for their responses and aims to conclude its investigation before the end of November 2018. The letter said: "We have identified concerns with Arriva Rail North’s (Northern Railway) provision of passenger information relating to the May 2018 timetable." A spokesman for Northern said: “We are truly sorry for the inconvenience passengers experienced as a result of the May timetable change. "The ORR's own Glaister Inquiry found that the root cause of the May timetable disruption was delays to new infrastructure. "Delays to infrastructure meant we had to plan and deliver a new timetable in 16 weeks rather than the normal 40 weeks, which did not leave enough time to train our drivers on the new routes and types of train in the May timetable.